"Kingdom," which premieres globally on the U.S. video streaming service Friday, is a genre-defining six-episode zombie mystery thriller set in the last Korean kingdom of Joseon. It took nearly eight years to produce the series, with its production cost reaching 2 billion won (US$1.7 million) per episode, according to the producers. 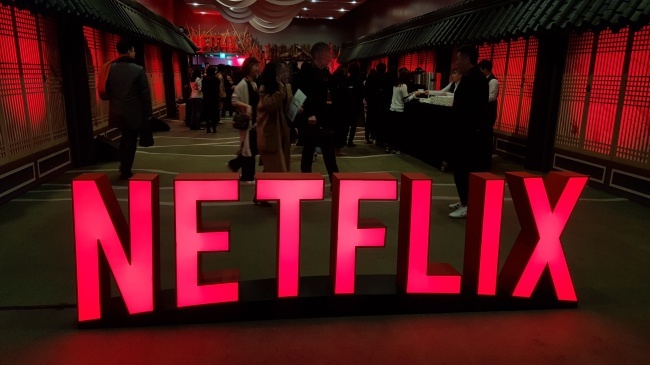 Netflix chose famed Korean screenwriter Kim Eun-hee, the author of the popular 2016 TV series "Signal," and director Kim Seong-hun, whose 2016 film "Tunnel" became a solid box office hit, as its first partners for local drama production. "I started to design this story in 2011 ... I thought an epidemic would be an interesting subject that could portray the sufferings of that time. In the end, I wanted to talk about hunger ... as the desire of people narrows down to the craving to eat as they turn into zombies," Kim said in a press conference for the television series in Seoul. The series marks the established director Kim Seong-hun's debut on the small screen. "I filmed the series thinking that I am filming three two-hour movies. They carry very tiny details that a single two-hour film cannot carry." The first season of "Kingdom" also brings together Ju Ji-hoon, arguably one of the top movie actors of today, and Bae Doo-na, who built a solid filmography in Hollywood. "If you enjoy the series at once, you can take it as a 300-minute film, or if you want to take it as a TV series, you can watch one episode a day. The joy of choosing is up to you," Bae said. Driven out of the royal court amid a rapidly spreading epidemic, the prince races to the very fringe of the country in search of a renowned doctor who holds the key to the mystery of the king's illness and the accusation of treason against the prince. The doctor's apprentice, Seo-bi, portrayed by Bae, plays the key aide during the prince's tumultuous journey back to the court. "It's a story that can captivate people (worldwide) by combining original Korean beauty and its narration with the original Western subject matter of (zombies)," said Ryu Seung-ryong, who plays the kingdom's power-hungry No. 2 who plots to bring the treason charge against the prince and seeks eventually to take the ill-fated king's throne. "It's a story that could resonate with people from any place in the world and from any time period with its focus on hunger and the struggle for power," the veteran actor said. "It could be a work that makes Korea's unique beauty known to the world."